The Montpelier Community Justice Center (MCJC) is dedicated to ensuring that the people we serve have the resources they need to resolve conflicts and promote problem solving in creative ways that encourage feelings of fairness, safety, and inclusion. 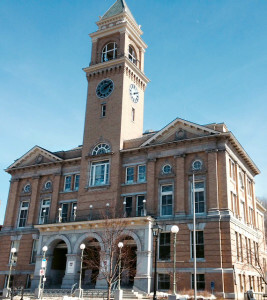 The MCJC is a department of the City of Montpelier. With a staff of three and more than 60 volunteers, we serve the communities of Montpelier, Berlin, Calais, East Montpelier, Fayston, Middlesex, Northfield, Roxbury, Waitsfield, Warren, Waterbury, and Worcester, Vermont. We recognize the potential for citizens to live in harmony with their neighbors and contribute to the civility and wellbeing of the community. To help realize that potential, the MCJC operates programs and provides services that build and support our community’s capacity to be accountable to one another and respond to destructive behavior in ways that help repair harm. These classes teach community members the skills to resolve conflict peacefully. For fathers who have been incarcerated or investigated by DCF, these classes promote child-centered parenting. We work to help embed restorative practices in city government, schools and other civic organizations. To get involved and for more information, please contact us at (802) 223-9606 or mcjc@montpelier-vt.org.